Keep up with the Trinity news! 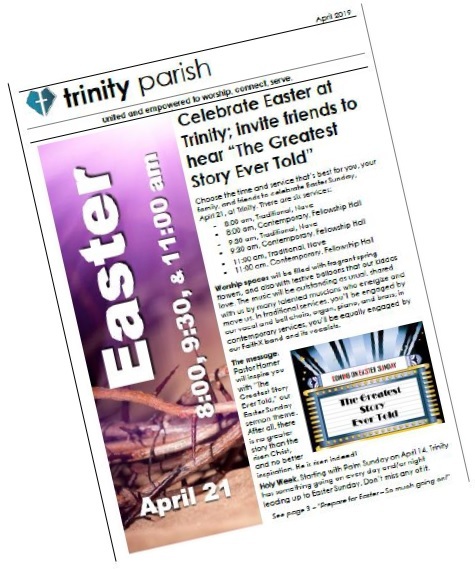 Click here (or on the image) to read about our Easter Celebration and all the events of Holy Week in the April issue of Trinity Parish – plus Mardi Gras in May and more. Save the date – VBS is coming soon!